So fun! I can't wait to do my own harvest theme! 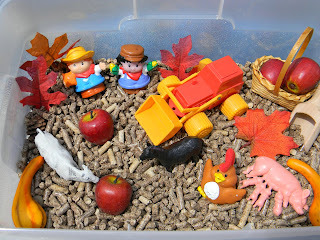 You have the best sensory boxes, this one turned out so well! I love this tub. The mama pig and her piglets are adorable!! How fun! 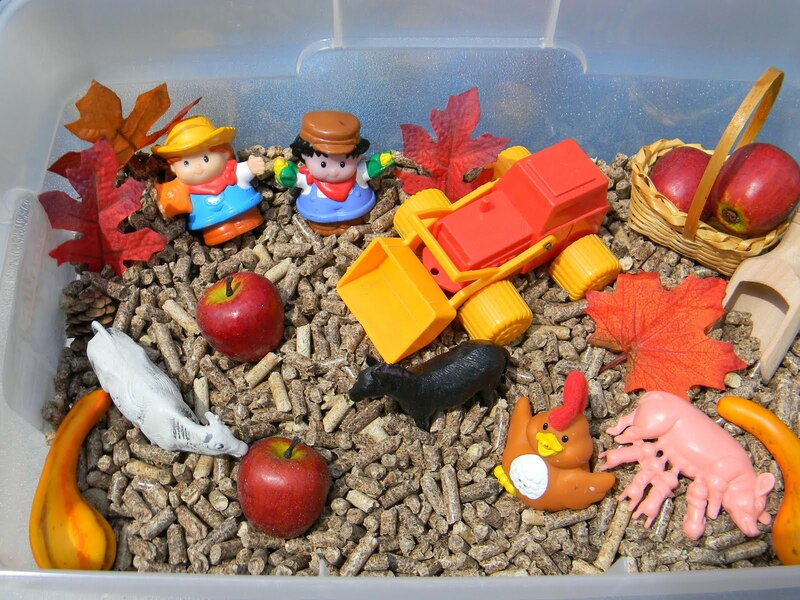 We're going to do a fall sensory box too - going to use hay from the craft store. :) Great tip on the cat box - our kitties passed away recently too but I passed the tip onto a friend of mine.